Any time of year is a good time to visit Kurrajong. Drive through the rolling countryside, where cows and horses graze or enjoy a fine meal in one of the cafes or restaurants. Kurrajong Village is a delightful stopping place with shops catering for the locals and visitors. Browse the speciality homewares, antique and gift shops and enjoy a coffee or a meal in one of the cafes or restaurants, some of which have magnificent views across the Cumberland Plain towards the city. You could also have a picnic in Memorial Park, where there is a children's playground. Local attractions also include galleries with displays of contemporary art by local artisans. There is a fascinating Radio Museum. A drive along the local roads will reveal the beautiful scenery of rolling hills and green pastures, where horses and cows graze. 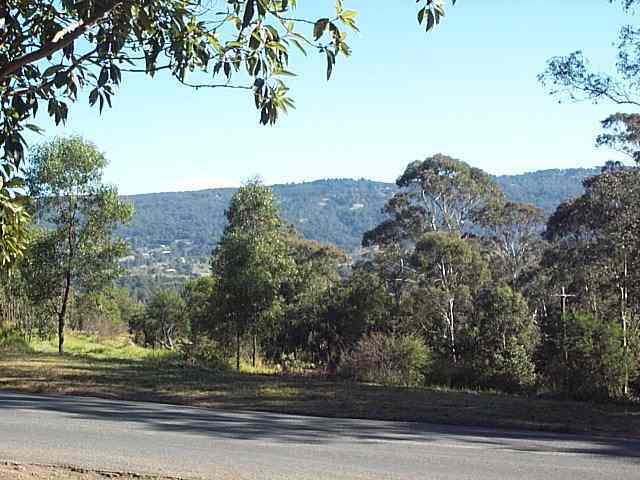 From Kurrajong Heights and Bowen Mountain there are panoramic views to Sydney, and from the Vale of Avoca Lookout (off Cabbage Tree Road) there is a spectacular view of the rugged Grose River Valley. At the end of Grose River Road, Navua Reserve is a pleasant picnic spot beside the sandy beach of the Grose River. Taste the local produce from farmers and businesses participating in the Farm Gate Trail. The "What's On" guide gives you the latest events in the area. Further afield, it is a short drive from Kurrajong to the Hawkesbury Valley with the historic towns of Windsor and Richmond. 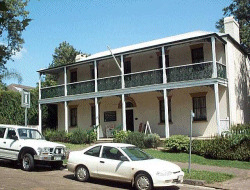 Established by Governor Macquarie in the early 1800s, these towns contain many colonial buildings. Windsor's historical precinct, located near the Museum, has changed little over the years. Both towns have a wealth of cafes and shops and regular markets on the weekends. Several other small towns, such as Pitt Town and Wilberforce, also contain historic buildings. At Ebenezer the church is reputed to be the oldest functioning church in Australia. While in Ebenezer visit the Tizzana Winery. Bells Line of Road to the west takes you through the apple growing centre of Bilpin and on through the rugged scenery of the Blue Mountains. 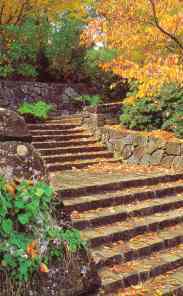 Mt Tomah Botanic Gardens is well worth a visit, as well as the township of Mt Wilson where many of the old homes have English style gardens which are glorious in Spring and Autumn. Many of the gardens are open to the public on a regular basis. Continue on towards Lithgow to the Zig Zag Railway at Clarence. Opened in 1869, with three magnificent sandstone viaducts, it enabled trains on the main line from Sydney to negotiate the steep western escarpment of the Blue Mountains. The more energetic can go bushwalking, mountain bike riding, canyoning and abseiling in the Blue Mountain and Wollemi National Parks or canoeing on the Hawkesbury or Grose River. Camping sites are available in Wheeny Creek Reserve and the Upper Colo Reserve. There are golf courses in the area. A short drive along the flood plain towards Penrith brings you to the Sydney International Regatta Centre, a Sydney 2000 Olympic Games site and the new Lakes development. Day Trip. The Grand Circular Tourist Drive. An ideal day trip to the Blue Mountains from Sydney is to travel via Bell's Line of Road to Bell, turn to Mount Victoria and then return down the Great Western Highway (see map). Kurrajong Village is the perfect place to have morning tea before travelling through rugged scenery to the tourist attractions of Blackheath and Katoomba. Stop at the Tourist Information Centre at Clarendon (between Windsor and Richmond) for more information.